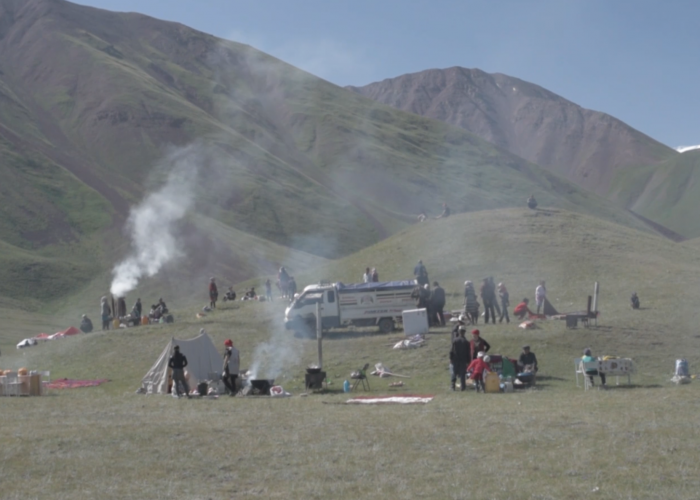 For the past few years, an annual horse and yak games contest near a basecamp for Kyrgyzstan’s Peak Lenin has helped popularize the location as a tourist destination. The site abuts a crystalline lake called Tulpar Kol, or Lake of the Swift Horse, a body of water abounding with local tales of ghosts and tragedy. Spectators started to arrive at this year’s edition, held on July 22, a few hours after daybreak, once the sun had risen enough to thaw the high-altitude chill that descends overnight. Proceedings began as customary with speeches to the crowd, which numbered in the low hundreds, and a musical performance by an ensemble bused in from the southern city of Osh. 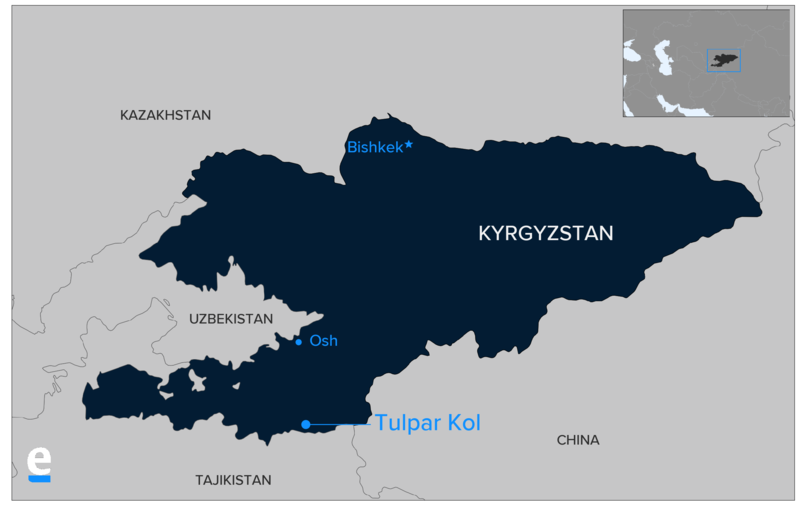 Most local people attending had taken the bumpy one-hour drive from the nearest village, Sary-Mogol. The first order of business after eating was to rustle up the yaks for a ceremonial shearing before they could be pressed into the business of Er Enish, the wrestling contest that requires competing riders to pull their opponent off their rival’s animal. The game is normally played on horses, but the yaks are the novel twist offered by these high-plateau communities. Before the herders could set to rounding up the animals, however, a panicked crowd rushed across the plain, up and over a nearby hill. On the other side of the rise was a small lake, a short distance from the main lake. A group of young men had improvised a swimming competition and one of them had got into trouble and sunk to the bottom. The frantic crowd perched on the side of the hill cried out appeals for assistance, but there were no strong swimmers available. Foreign tourists, many of them hikers and cyclists, were enlisted in the hope they could save the 16-year-old boy’s life. A single bubble rising to the surface on the far side of the small lake caused a small ripple and sparked a glimmer of hope. But it fast dawned that what began as a rescue effort was to become a grisly operation to recover a body. The altitude at the location — more than 3,000 meters [9,800 feet] above sea level — made it impossible to dive more than half a meter or so into the murky waters before the pain forced the swimmers back up to the surface for air. For more than an hour, tourists swam up and down and in circles in vain. It was several hours before emergency workers arrived at the remote location. By that time, people had fashioned a wiry plow into crude device they used to comb the bottom of the lake. The search continued throughout the night. It was only the next morning that they managed to recover the body.